The event is organised and hosted by the James Hutton Institute in partnership with AHDB Potatoes, SRUC (Scotland’s Rural College) and Agrii. 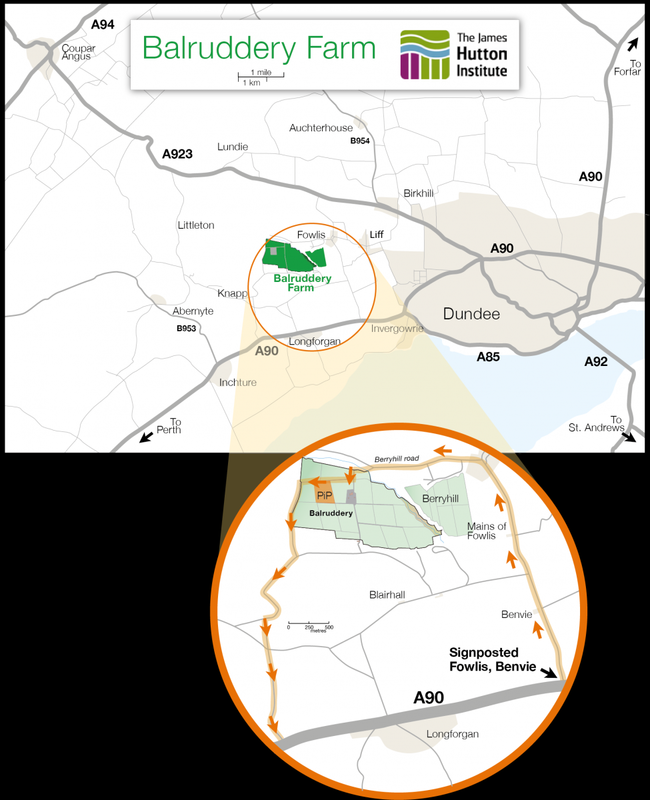 Potatoes in Practice is held at the James Hutton Institute’s Balruddery Research Farm and directions can be found below. The route to and from the event site has been carefully planned to minimise traffic going through the village and to avoid any ‘incidents’ with heavy machinery. Please don’t rely solely on your satnav to take you to site. Please follow the AA signage once you see it – this takes you on the best route.